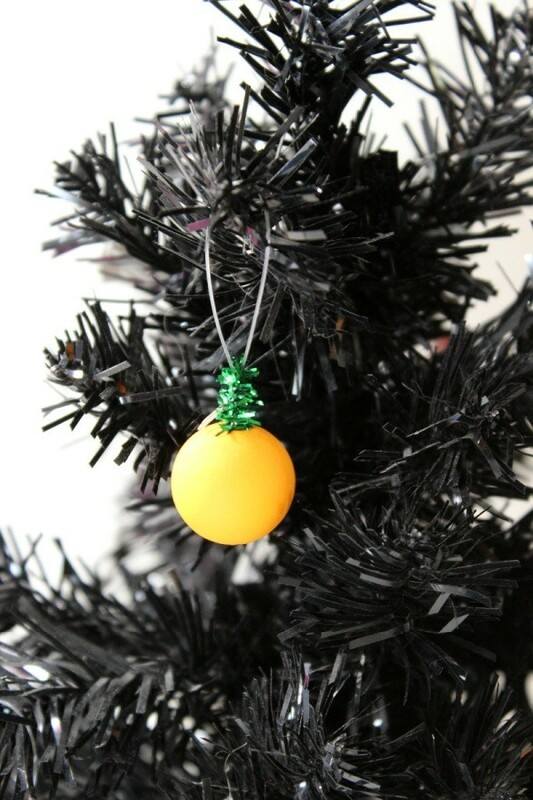 Decorated trees don't have to be just for Christmas. Make some tiny ornaments and decorate a Halloween tree this year. 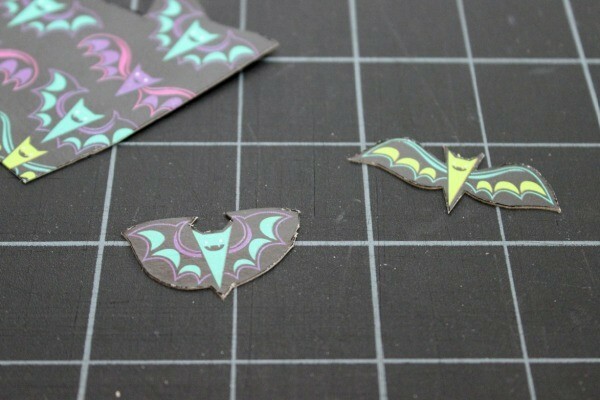 This is a guide about making mini Halloween tree ornaments. I love Halloween and am always looking for new decorations to put up. 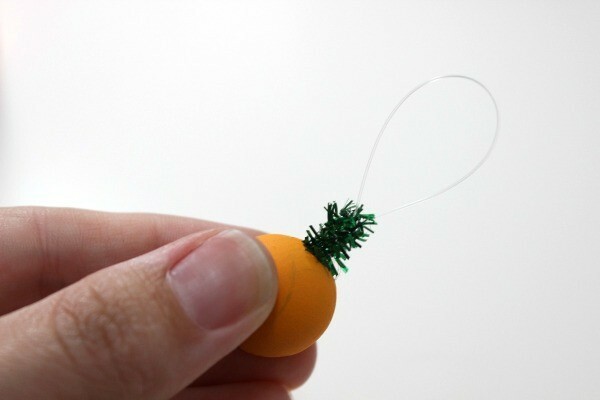 I borrowed this little tree from my brother-in-law and couldn't find any good ornaments for it at the store. So I decided to make a bunch of little ornaments for it myself. 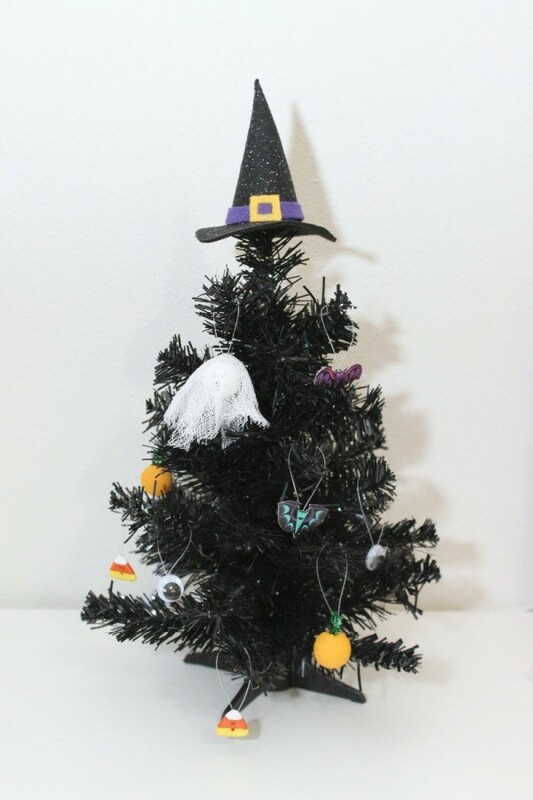 Click here if you would like to make the Witch Hat Tree Topper too. I found a really cute tissue box with bats all over it. The smaller bats were the perfect size for the tree. 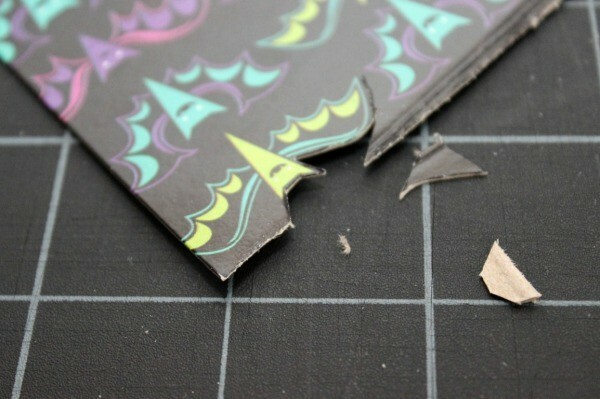 Cut out the shapes you want to use on the box using a craft knife. Cut a piece of fishing line and knot the ends together. 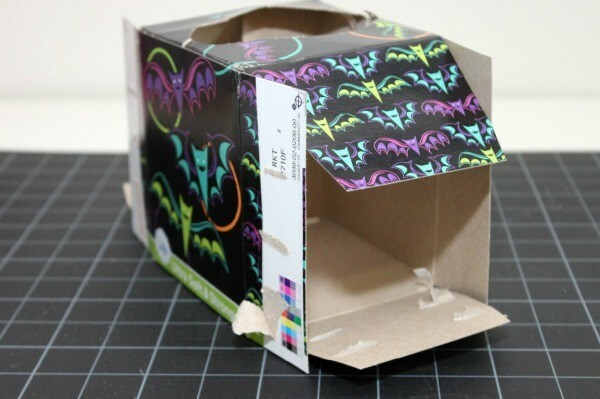 Using scrap parts of the box, cut out small squares. 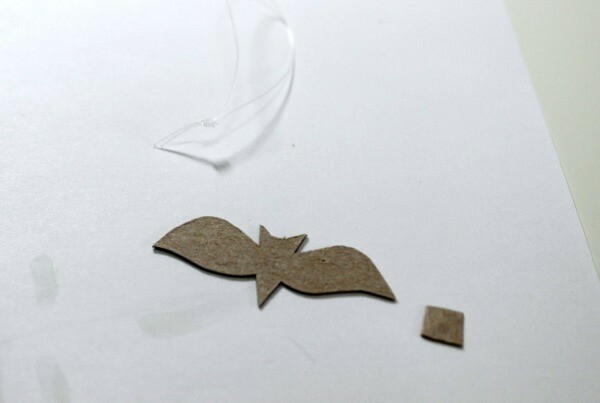 Apply hot glue to the back of the shapes, then lay the knotted end of the fishing line on the glue, and press the cardboard square onto the glue to hold the fishing line in place. 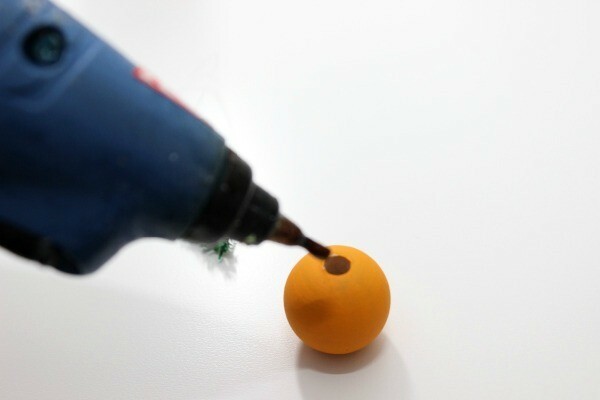 Paint the wooden beads orange, applying as many layers of paint as needed, then allow to dry completely. 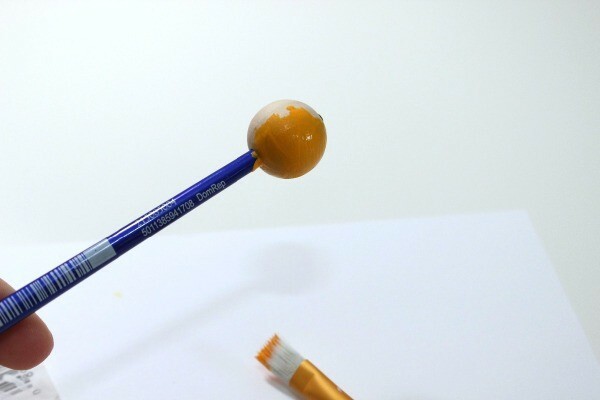 NOTE: I put the beads on the end of a paint brush for easy painting and drying. Cut 1 in. pieces of green chenille sticks, folding them in half. Cut a piece of fishing line and knot the ends together. 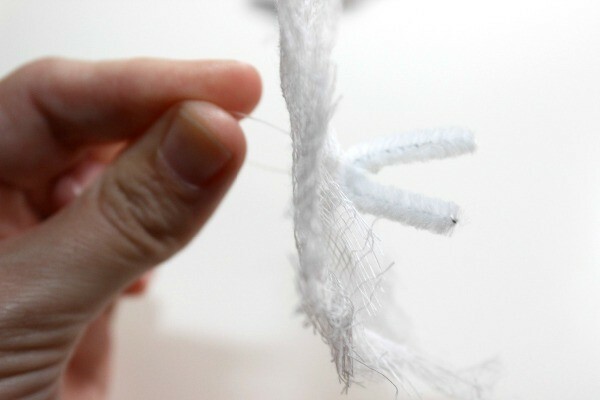 Place the folded chenille stick through the loop of fishing line. 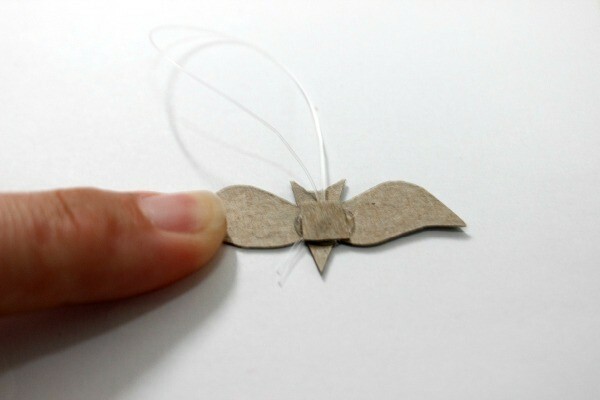 Apply hot glue inside the hole at the top of the wooden bead. 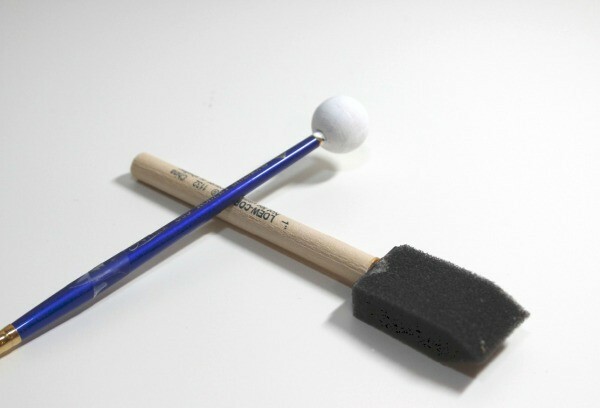 Then push the two ends of the chenille stick into the hole. Allow to dry. 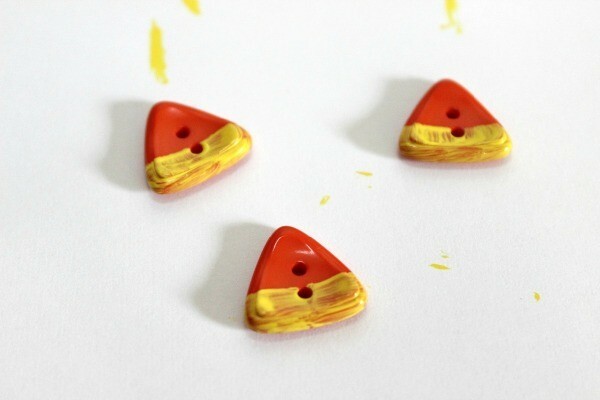 Paint the lower third of the buttons yellow, applying as many coats of paint as needed. Allow to dry completely. 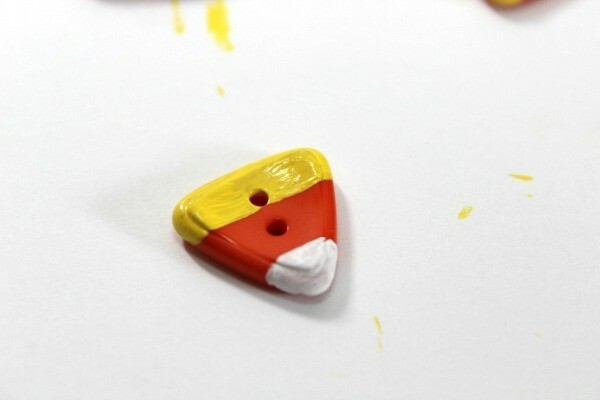 Paint the top of the buttons white, applying as many coats of paint as needed. Allow to dry completely. 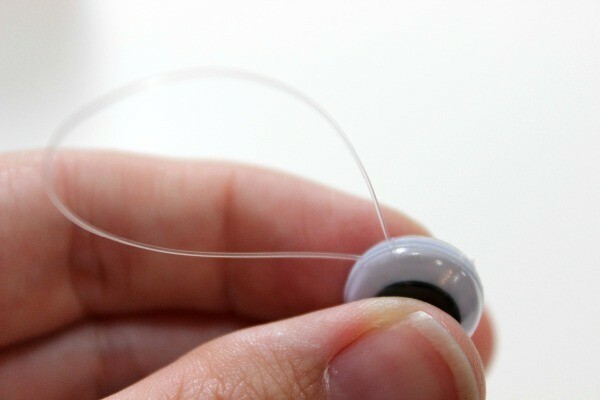 Cut a piece of fishing line and knot the ends together. Now cut small squares of felt. 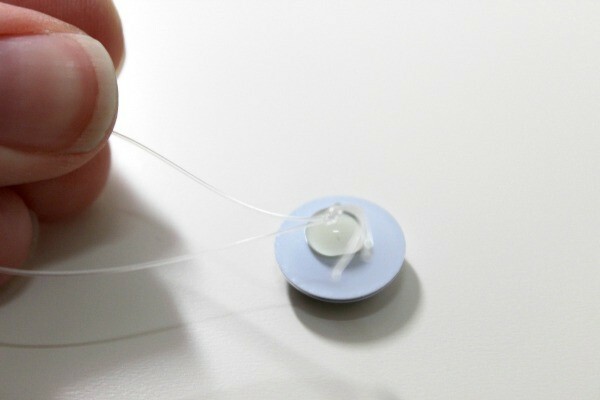 Apply hot glue to the back of the buttons, then lay the knotted end of the fishing line on the glue, and press the felt square onto the glue to hold the fishing line in place. Cut a piece of fishing line and knot the ends together. 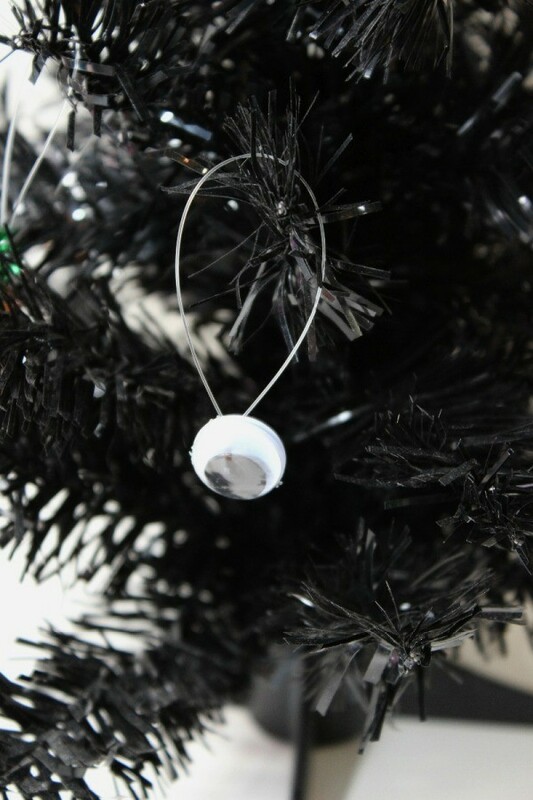 Put hot glue on the back of one googley eye, then lay the knotted end of the fishing line on the glue, and press a second googley eye onto the glue to hold the fishing line in place. 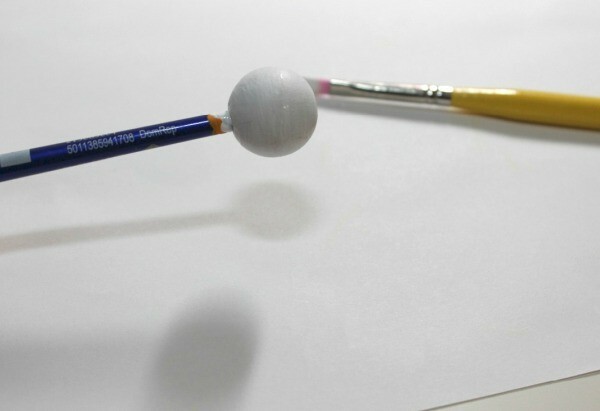 Paint the wooden beads white, applying as many layers of paint as needed, then allow to dry completely. 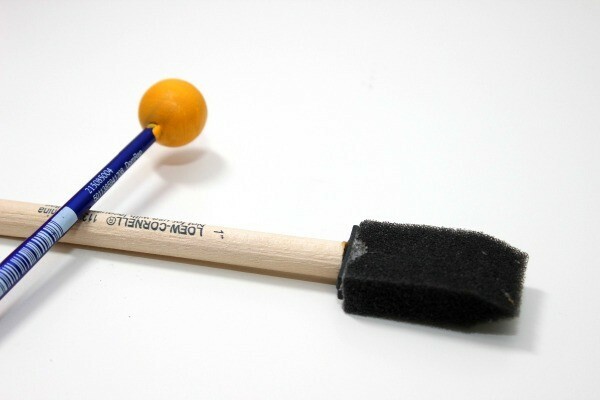 NOTE: I put the beads on the end of a paint brush for easy painting and drying. Cut 1 in. 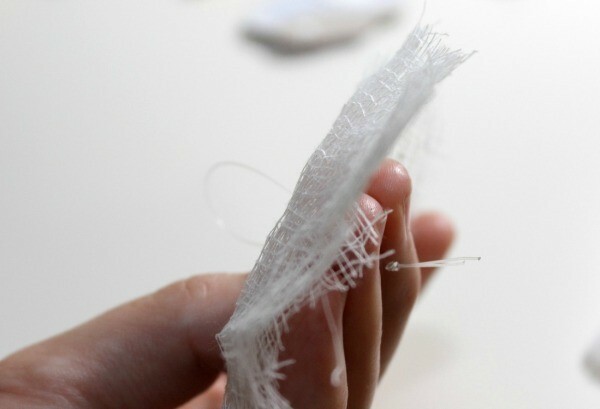 pieces of white chenille sticks, folding them in half. Cut a piece of fishing line and knot the ends together. Also cut a few circles of cheese cloth about 4 in. in diameter, placing them on top of each other. 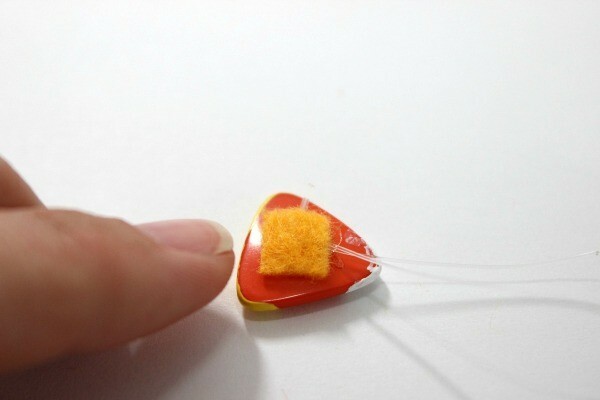 Push the fishing line through the center of the cheese cloth. 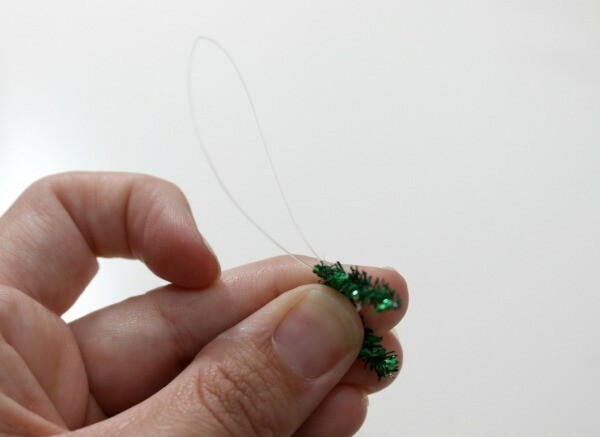 Hook the piece of chenille stick through the fishing line near the knot. 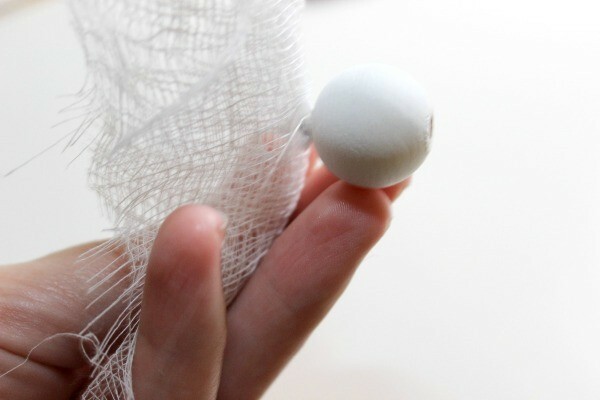 The loop of fishing line should be on one side of the cheese cloth, with the chenille stick and knotted end on the other side. 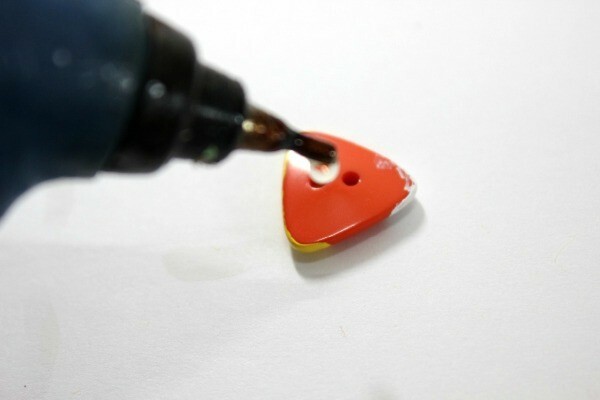 Apply hot glue inside the hole at the top of the wooden bead. 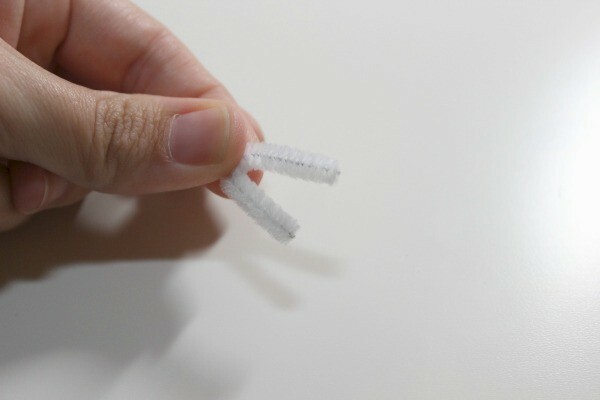 Then push the two ends of the chenille stick into the hole, making sure that the whole piece of chenille stick is inside the hole. Allow to dry. 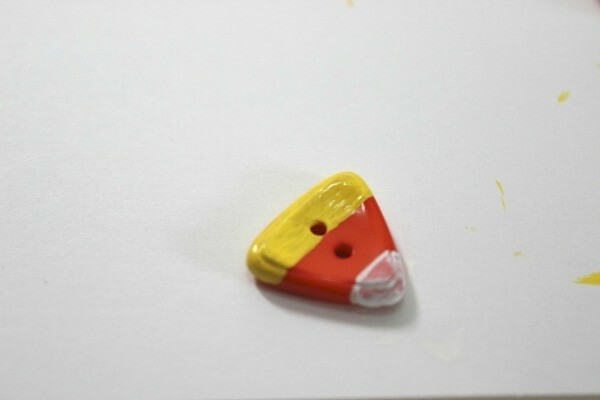 Using a marker, draw eyes and a mouth onto the bead underneath the cheese cloth. 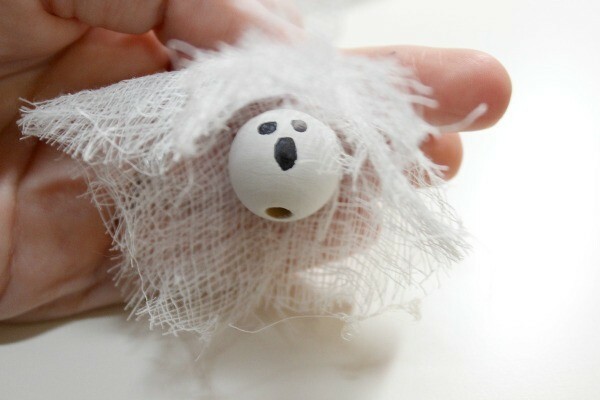 Drape the cheese cloth down over the bead to make a ghost. 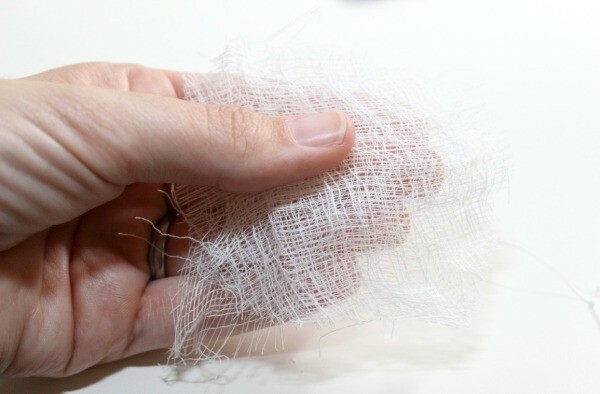 Trim off any excess threads. 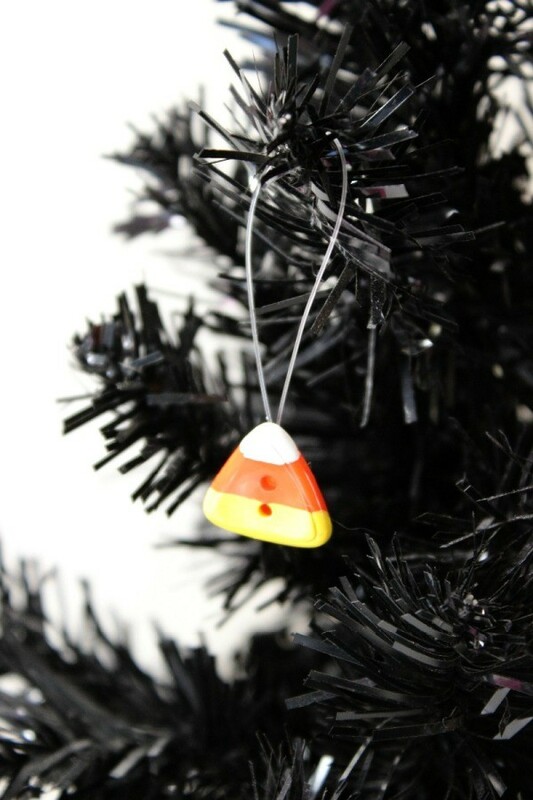 This is a cute little pumpkin ornament made with a wooden bead. 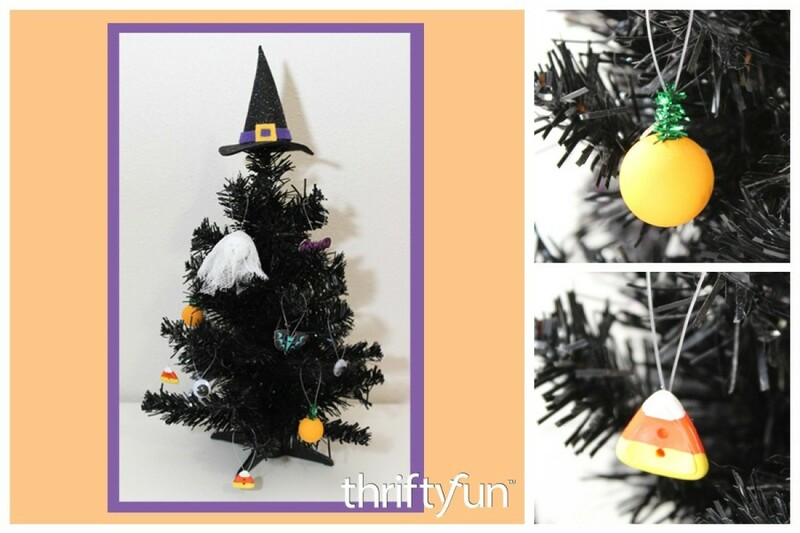 Perfect for a small Halloween tree. 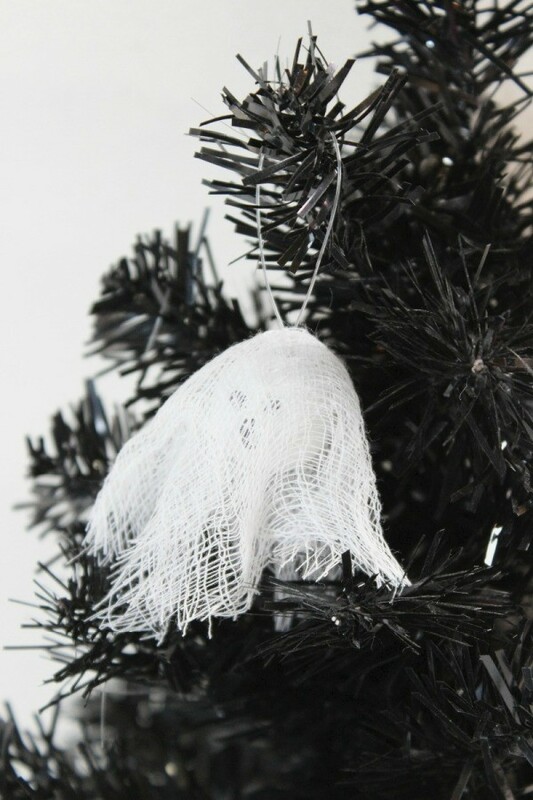 Here are some cute Googley Eyes ornaments, perfect for a mini Halloween tree decoration. 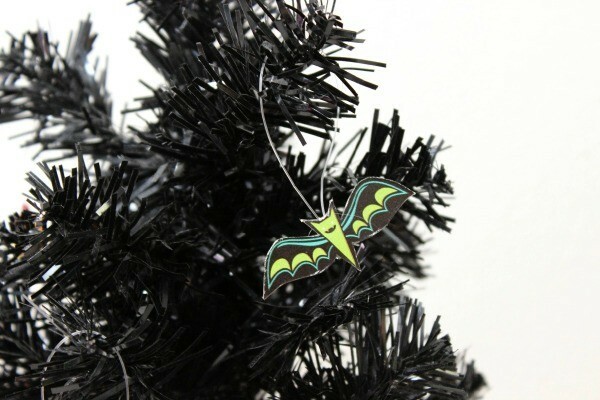 These cute recycled bat ornaments are perfect for a mini Halloween tree. 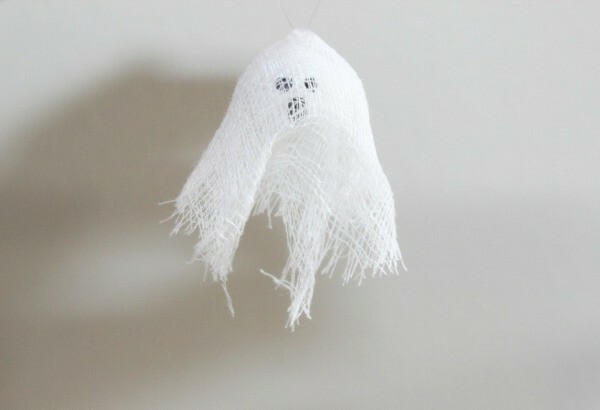 These are cute ghost ornaments, perfect for Halloween. I love Halloween and am always looking for new decorations to put up.